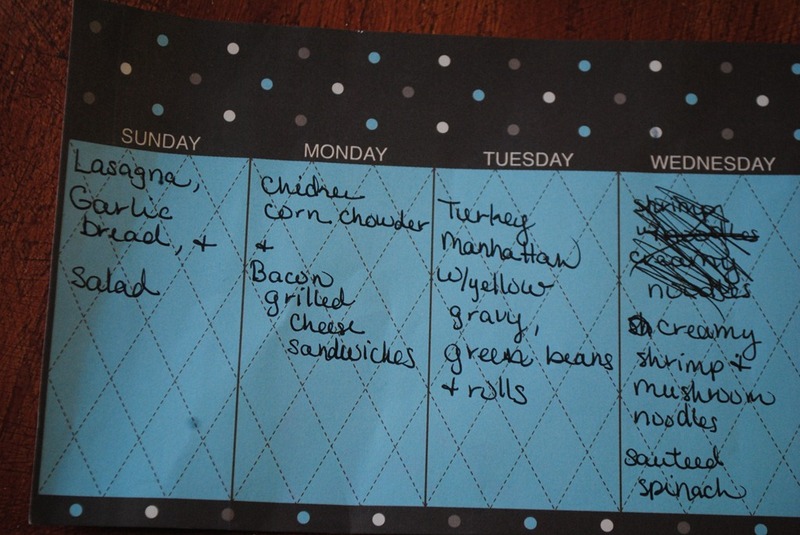 I just wanted to take a few moments out to let you know what we’re having for dinner this week. I usually try to put this out on Friday or Saturday, but it was a work Friday and a very busy Saturday, so I’m getting to it today. Did you remember to change your clocks for Day Light Savings time? I remember to change the clock in the bedroom so that I could get to church yesterday morning, but forgot the rest of the clocks. Let’s just say we had dinner at 6:30 last night and I thought until the end of dinner that I was doing good with my time. Wednesday – Turkey Burgers with Potato Pancakes (I think I’m noticing a potato theme this week and that was not my intention at all). Thursday – Chicken & Waffles and some type of green vegetable. I originally had spinach down as the side, but I cooked it yesterday, so now I’m thinking broccoli or asparagus. Stan is not a fan, but Babydoll loves it, especially with lemon pepper and lemon juice squeezed on it, and it’s on sale this week; I can pick some up before I pick her up from school. Friday – Fish Fry Friday…enough said. Saturday – Last Saturday, I volunteered to work at the church and was gone most of the day. This Saturday, I have a book club meeting and cannot say what I will do; it may be an every-man-for-himself day. For dessert this week I decided to make brownies – two types one without nuts and no frosting for Babydoll and the second with walnuts and a peanut butter chocolate icing. I bought some Salted Caramel Blue Bell Ice Cream to go along with it. That’s our menu this week, as you can see besides the potatoes everywhere; we are having a lot of poultry this week. I asked Stan if he thought we could have a menu entirely of chicken…he said let’s do it. I settled for mostly poultry with a few seafood items mixed in just so it wouldn’t become too boring. Maybe I’ll do a whole week of it at another time to see how it goes. What are you having this week? Although I haven’t been posting much lately, doesn’t mean that I haven’t been doing anything post worthy. I have. I’ve been taking pictures of things that I’ve been making, just haven’t had the time to actually tell you guys about it. I’m going to change that. 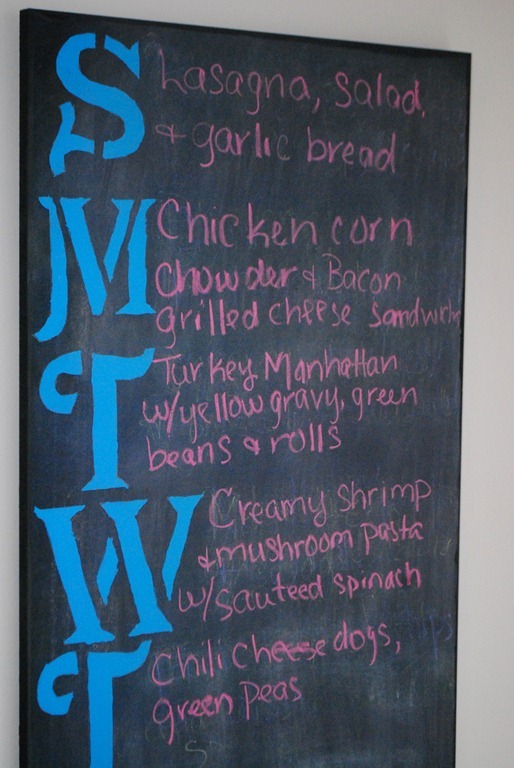 Also…I got several positive responses from you guys about my menu planning post, so I thought I would post my weekly menu. I make the menu every week, usually by Thursday, so I’ll try to post it on Friday. Although this week I did not do that because I didn’t figure out until today what type of soup we were having. I did know I was baking the bread, just couldn’t figure out the soup (I hope to post about the soup and bread tomorrow or Wednesday.). I know we are having fries twice this week (actually more than twice if we get the fish dinners) but you have to keep in mind that Thursdays my Babydoll has ballet and we don’t get home until after 7; dinner has to be quick. Also with us having had the cheeseburgers four days from the proposed next time, I think our body can handle it. I will have been to the gym at least three times by then. And finally, I may come up with a better option for fries with the sloppy joes. What are you having for dinner this week? Maybe I can get inspired and find an alternative to the fries.